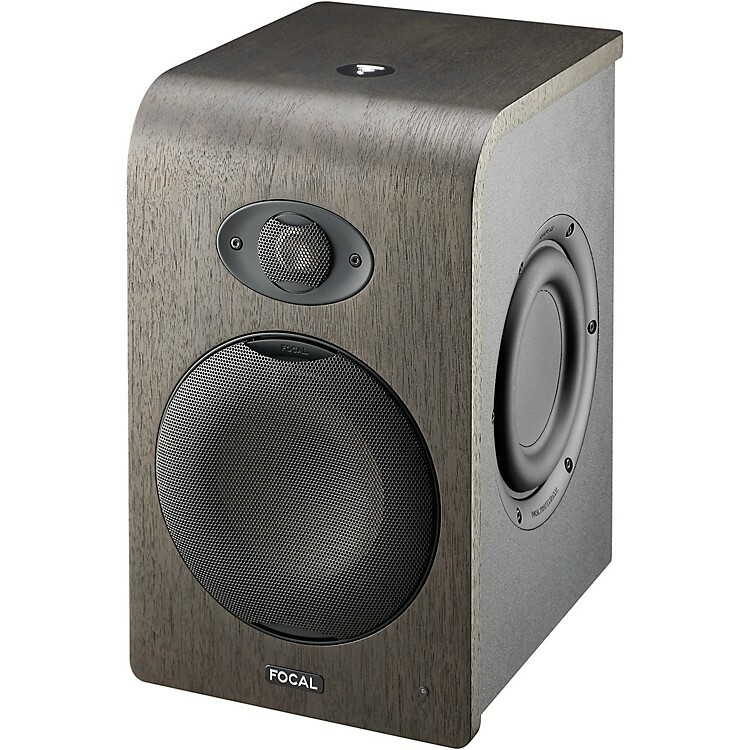 Active studio monitor with 6.5 in. double passive resonator for easy placement just about anywhere. Shape 65 is the reference of the Shape line. Although it’s dedicated to nearfield monitoring, this monitor enables extraordinary monitoring quality, in the lowest to the highest frequencies. Simply a must, this monitor will express its full potential from a listening distance of three feet away. All three monitors in the Focal Shape Series are all made in France and integrate five innovations to maximize acoustic transparency. Designed to meet the needs of nearfield monitoring, Shape monitors combine an ingenuous design and numerous settings optimized for the acoustics of small listening rooms. These innovations provide remarkable acoustic transparency. These new work tools distinguish themselves through the wide and extremely precise stereo image. The bass register is articulated and controlled. The lower mid-range and mid-range benefit from extreme neutrality, and without any masking effects, making equalization of these essential registers much easier. Finally, the new tweeter is what’s at the source of the very high definition. It efficiently reveals any hissing, and it’s also very precise in the very high end. Made to perform, in even the tightest spaces.